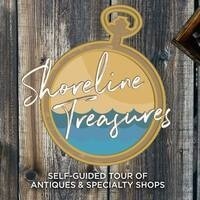 Shoreline Treasures is an ongoing, self-guided tour presented by Visit Lorain County and the Lorain County Commissioners. While promoting tourism, Shoreline Treasures also highlights the great shopping scene in Lorain County. Invite friends or family out for a day of shopping. Our mission is to provide guests and visitors with an experience they won't soon forget. There's something here for everyone!